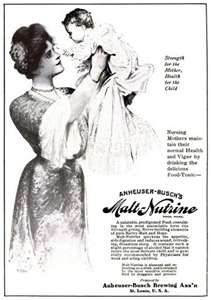 It would appear that cute babies score big points in marketing. Still! 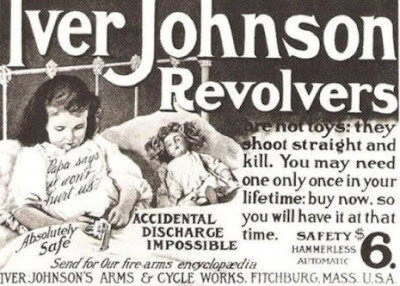 Some of these ads are nuts. The good news is they make me look like an excellent parent! 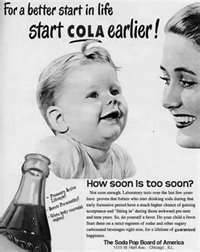 “For a better start in life, start cola earlier.” “How soon is too soon? Not soon enough.” The soda pop board of Ameraica. 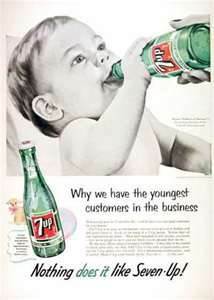 Can you imagine how amped up the kid will be after a sugar / caffeine rush? Good thinking mom! 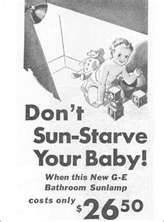 “Get a sun lamp to keep you looking as if you have just come back from somewhere expensive.” Aristoltle Onassis That would be especially true for babies. 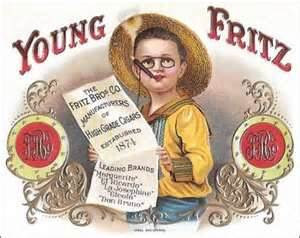 Other kids will make fun of a pasty white baby. 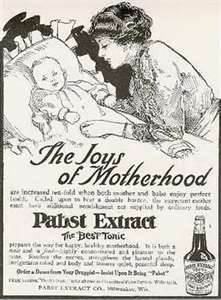 “It's absolutely NOT all right to have a two-year-old sipping wine and beer.” Good advice from the MD help column. 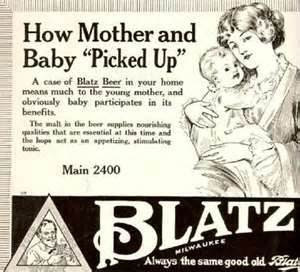 “A case of Blatz beer in your home means so much to a young mother.” “Beer provides nourishing qualities that are essential at this time.” Well of course, you just tanked up your kid and suar and caffeine. 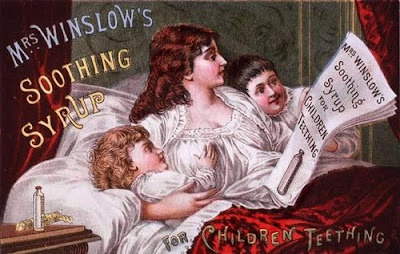 You have to do something to make them sleep. 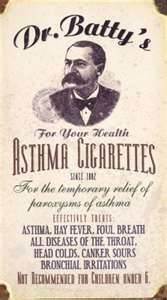 “Asthma cigarettes, not recommended for children under 6” But what about the poor population from birth to 6? I guess someone can blow smoke in their faces. 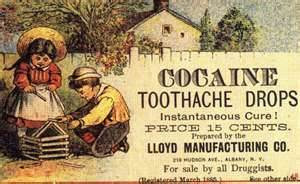 "A lot of baby boomers are baby bongers.” Kevin Nealon Cocaine, opium and heroin, no wonder your kid is so mellow. Well at least there aren’t any ads for firearms and babies. Oh wait. . .